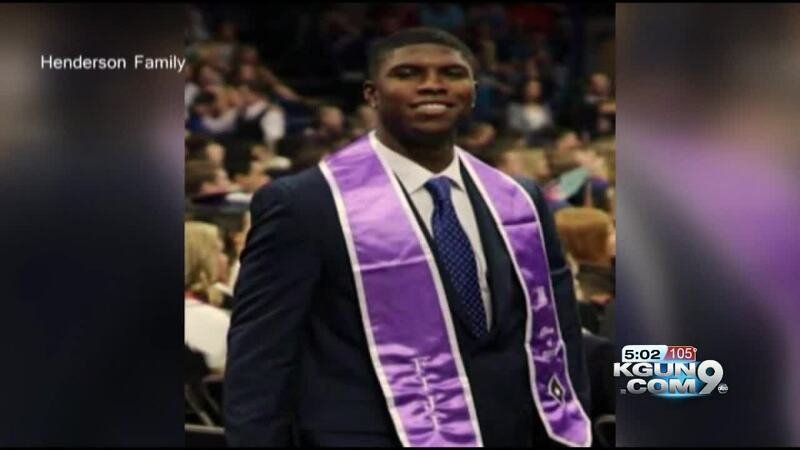 A prosecutor in Greece has ordered the retrial of seven suspects on murder charges over the fatal beating of Texan tourist Bakari Henderson on an island resort last year. ATHENS, Greece (AP) - A prosecutor in Greece has ordered the retrial of seven suspects on murder charges over the fatal beating of Texan tourist Bakari Henderson on an island resort last year. The six men - five Serbian nationals and a British man of Serbian origin - were jailed from five to 15 years last week after being found guilty of deadly assault.